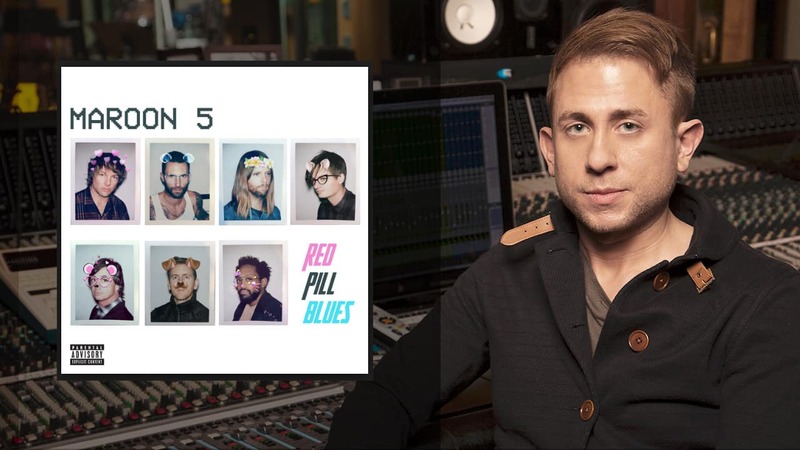 Producer, engineer, mixer Noah “Mailbox” Passovoy (Katy Perry, Taylor Swift, Charli XCX) discusses working on Maroon 5’s sixth studio album: Red Pill Blues and provides valuable insights into the production and hit making process. You can believe whatever you want to believe about what a record producer actually does in the studio. Or you can take the red pill: “When you’re making any record, a lot of the time your job description as a producer extends past what you’re normally supposed to do in the studio. You need to just sit back, let it happen, and not over think it,” says Noah “Mailbox” Passovoy. We got the chance to see how deep the rabbit hole goes on Maroon 5’s sixth studio album: Red Pill Blues. Noah, talk to us about the Red Pill Blues album— a very minimalistic and electronic departure from Maroon 5’s typical sound. How did you take the minimal vibe to the sonic max? I think production is naturally moving in a minimal direction. You know, you listen to a lot of records today and they’re so well produced, but they’re so minimal in what’s going on there. Red Pill Blues is definitely the most minimal-sounding of all their albums. But it’s actually deceptively simple. It’s less about filling space and more about a single cohesive idea. The sonic choices you make in the layering are very important. For instance, the bass on the opening track ‘Best 4 U’ is a combination of four or five different layers between live and synth bass; each one playing its role but supporting one simple idea. I used the CLA-76 plugin on this track quite a bit as a way to level all these bass parts together. Adam Levine has such an incredible dynamic range—transitioning from a low-pitched ‘chest-voice’ to a falsetto/‘head-voice’ incredibly fast. How did you control the dynamics of his vocals in the mix? Adam is such a great singer and he gives so much to each song. He also delivers a lot of rhythmic vocal tonalities and resonances in between the lines that he sings in order to accent certain things. I used to have to go in and automate an EQ if the vocal was too resonant in a certain spot. Here I used the C6 Multiband Compressor plugin on his vocals just to get rid of problem frequencies. It’s so much easier being able to go in—kind of find any harsh tones and get them to just back off a bit when needed. “Say, say, say—hey, hey now…” How did you produce the vocal pitch, filter and delay effects heard on ‘What Lovers Do’ featuring SZA? Those vocal effects in the beginning are actually sampled from Neiked and Dyo’s song ‘Sexual’. You’re hearing the OneKnob Filter on the sample. On Adam and SZA’s vocals, for delay throws, I used the H-Delay; where you have the high and low-pass filters on it, which made it really easy to get that kind of space as the repeats happen. And then you kind of tune the feedback so the repeats fall off when you need them to. For vocals, I love making mono things stereo using H-Delay. In Pro Tools, I’ll put it on a dual mono or multi-mono channel. I’ll then make one side completely dry and make the other side completely wet and delay it. For some reason I usually like a 19 MS setting. I’ll hit it with some variable pitch and then put a little bit of modulation on it. It’s probably wrong because obviously it creates some mono compatibility issues. But for whatever reason, that’s always my go-to to create pseudo-stereo kind of stuff. “Bet My Heart” is a song that combines Adam Levine’s delicate vocals over an acoustic guitar, along with some really massive and impactful drums and percussion. How do you choose the correct drum sounds or percussive elements for a song? It’s about not overdoing it. The more records you make, the more it becomes apparent what sound is right. When there’s a band like Maroon 5, you’ve got Matt [Flynn], who’s an amazing drummer. It’s really important that you know both modern and classic drum sounds. Modern songs don’t necessarily have rock drum kits in them, so we really spent a lot of time trying to be creative in finding ways to fit the drums into the song sonically. The sound is a process, but in all honesty the song has probably an equal amount of programming and live drumming on them. Sometimes I’ll pitch or time stretch a drum sample or loop, and the SoundShifter plugin is my go-to especially for drums. 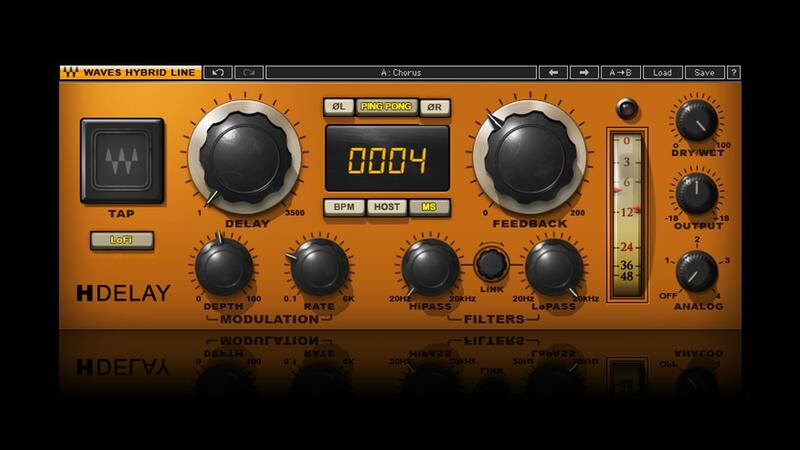 It sounds great and beats most of the pitch and time stretching plugins out there. I can use it to just pitch up a couple of cents and get it to where it needs to be with the music. As with any sound—I know this is something that they always drill into you; “Never listen in solo! Always listen to the sum of everything!” It’s a concept, at least for me, that I still fight with because you hear a drum sound on its own and you want it to be big, punchy and massive. It really may be your idea of the perfect kick, but when you listen to it in the song it’s not right at all. Other times, you listen to a song and you hear the kick and you’re like; “Wow, this kick sounds so good! This is the perfect kick.” Then you listen to it in solo and it sounds like garbage. The final track, “Closure”, ends the album in a nice, not-so-compartmentalized way. How did this track happen? “Closure” is a song that I co-produced with Phil [Paul]—who’s amazing. 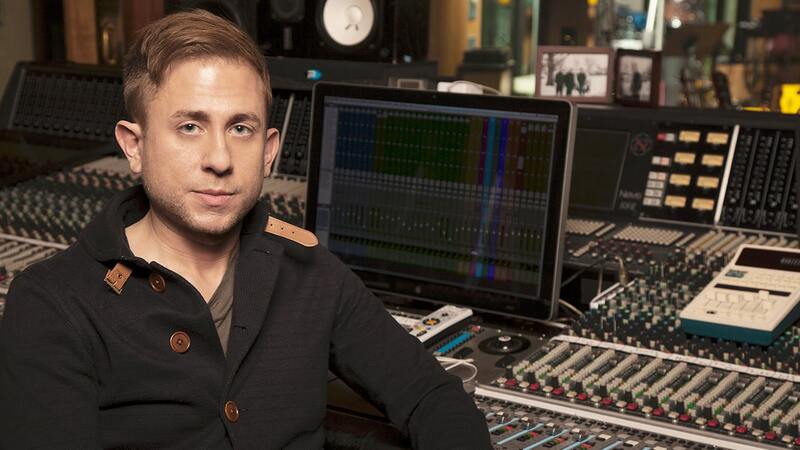 He also co-produced and wrote “Bet My Heart” and “Cold”. Because they’re all such great players, this was a chance for them to really go in and just play and not be confined to a three-minute thing. One night, Adam [Levine] had this very poetic idea; “I really want to finish the record with closure!” He’s like; “Let’s do that with this record. Let’s just go in and jam.” So that’s basically what we did. The whole band came in and played live and just kind of went for it. We did a bunch of takes and kind of put that together, where it was just like a live jam, which—Adam is very right—you don’t really hear on records anymore. It’s just kind of a cool moment. 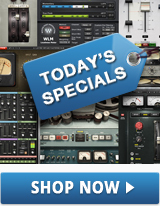 Find more tips and stories from the industry’s top producers, mixers and musicians.